Austin the one-man-boyband Mahone just announced he is going on a tour to support the release of his book, “Austin Mahone: Just How It Happened.” He’ll be in New York, Chicago and San Antonio signing copies of the book. Check with your local bookstore for more details on the event, and what you’ll need to do to meet Austin! You can pre-order a copy of the book now at Barnes and Noble – the perfect gift for any Mahomie in your life. Austin “the one-man-boy-band” Mahone just released the video for “Secret,” off his debut EP “The Secret.” In case you missed Austin on tour this summer, or want to re-live it, the video gives a peek at Austin’s live show. Which means tons of energy, smooth choreography, a tank top, and lots of fangirls. Watch it below! “Secret” is one of our favorite Austin tracks – we love the 90s vibe of the song, complete with a slow breakdown and a hint of Britney Spears’ “Stronger.” And Austin totally knows what he’s doing: as he recently told Billboard about the EP, “the style I was going for was more of that *NSYNC, Backstreet Boys vibe, ’cause I knew a lot of the older girls like that.” Excellent plan, Austin. Austin Mahone surprised his fans by posting a previously unreleased song called “Say My Name” to his Twitter account yesterday. Listen to the audio below! Austin has been busy with rehearsals for his headlining tour, which kicks off on July 25th in San Antonio! Check out all the dates here and pickup a copy of “The Secret” EP on iTunes now! He also had a private show last week in NYC for some lucky fans at the P.C. Richard & Son / iHeartRadio Theater. Watch his performance of “Next To You” below! Be sure to follow Austin Mahone & Secret Fangirls on Twitter for more updates! Austin Mahone Adds New Summer Tour Dates! Get ready Mahomies! Austin Mahone just announced 2 new dates for his summer tour with The Vamps and Fifth Harmony! The shows are in Foxwoods, Connecticut and Boston, which were previously not included on the schedule. Pre-sales for Mahomies.com members start tomorrow, June 17th at 10AM! VIP packages will be offered as well. Visit AustinMahone.com for all the details! We don’t know about you, but after seeing Austin’s short set at Summer Jam, we think we might need to go to more than one date on this summer tour! Here’s a little preview of what you’ll be seeing on tour. 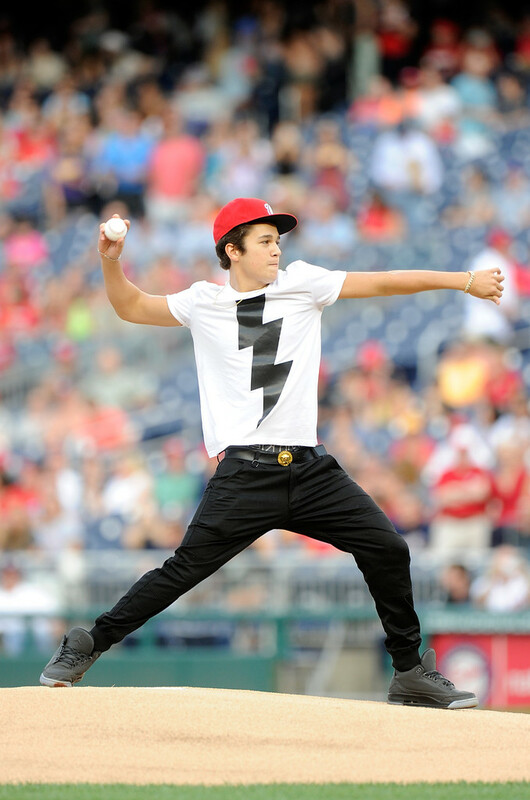 **Check out all of Austin Mahone’s upcoming summer tour dates here! Public onsales for the new dates are Friday, June 20th at 10AM!